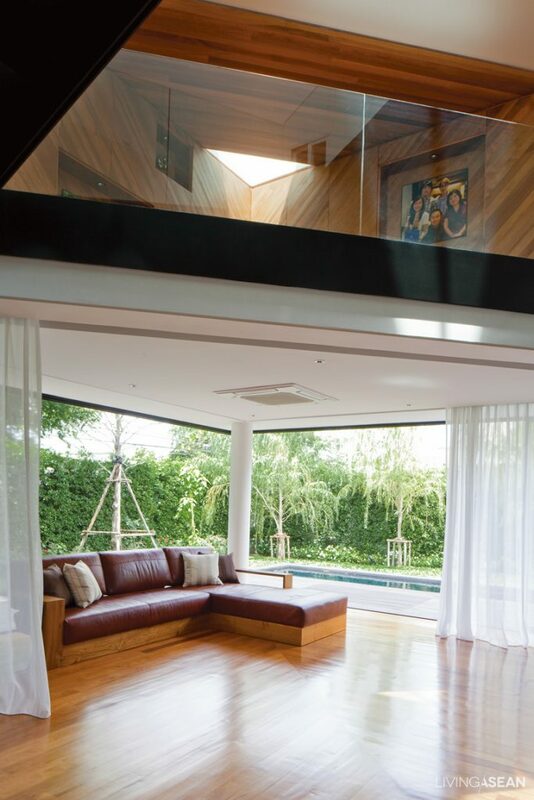 A box-shaped modern house takes relaxation to a whole new level. 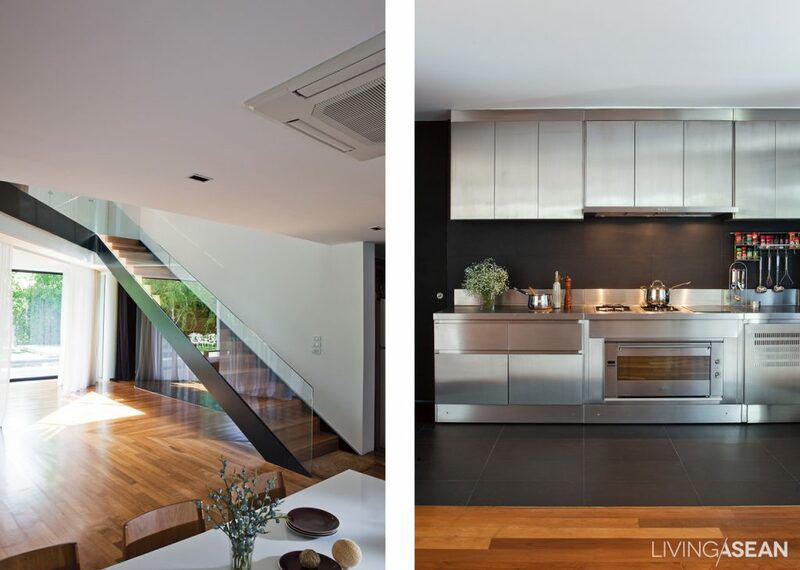 Incorporating triangles in the detail, the home with edgy design comes to light with all the charm and character. Check it out. 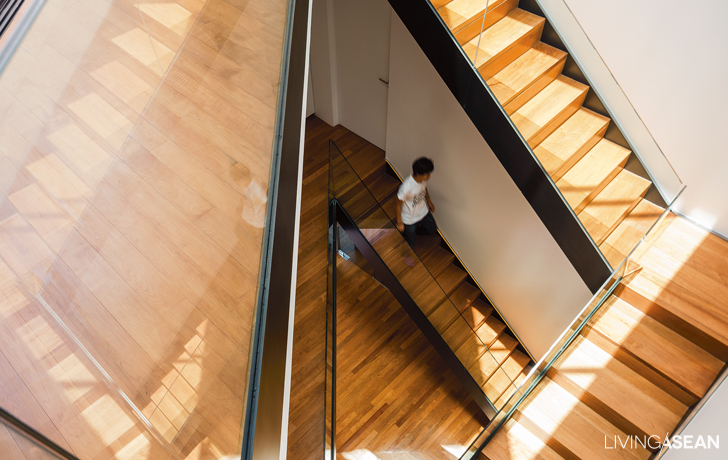 “I wanted a house with both common and private corners on each floor,” said Sorakit Kitcharoenroj, the owner and architect. 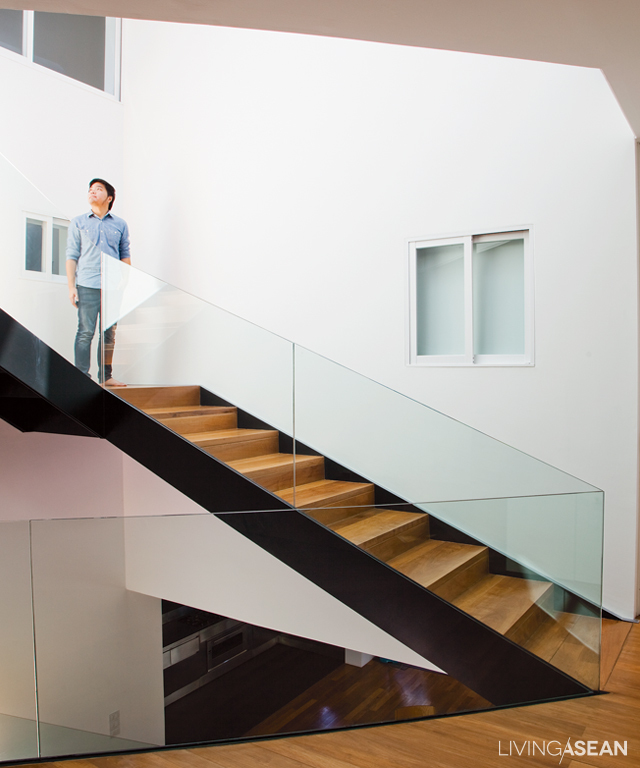 And with good reason, he called it “Baan Moom,” which is Thai for a house with corners. Sorakit had the fulfillment of his family’s needs for highest priority. That said, he translated it into this three-story, three-bedroom house complete with living room, dining room, kitchen, workspace and home theater. A focus on function didn’t necessarily mean that he had to abandon all the charm and poise. Rather, in a unique fashion he incorporated the concept of “Moom” in the detail. The word refers a space between two intersecting lines. That pretty much explains the ever-presence of triangular shaped design everywhere inside and out. 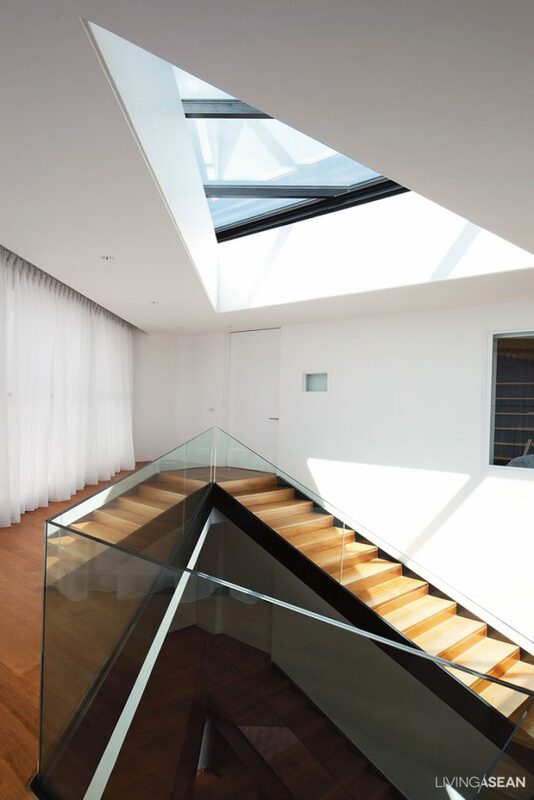 One of the house’s outstanding features is the triangular-shaped skylight crafted of insulated glass panels. 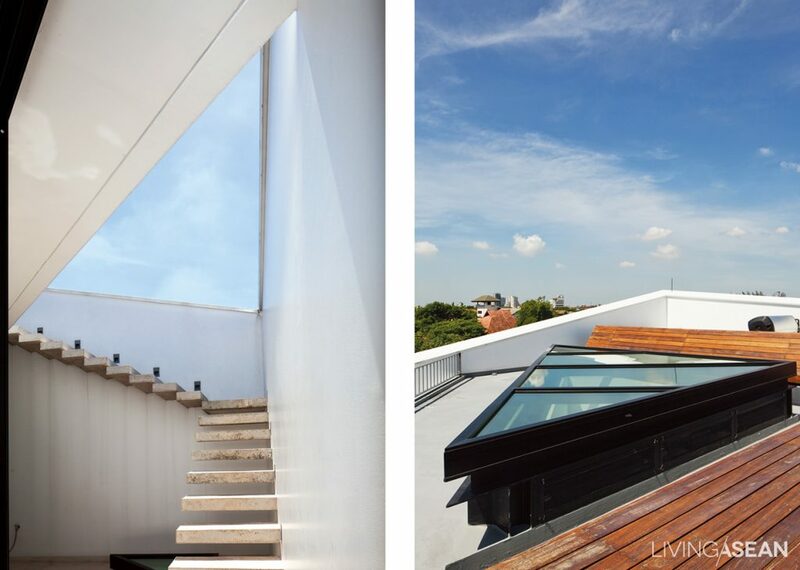 The rooftop opening stays open to let a shaft of natural light pour into the interior via the stairwell. 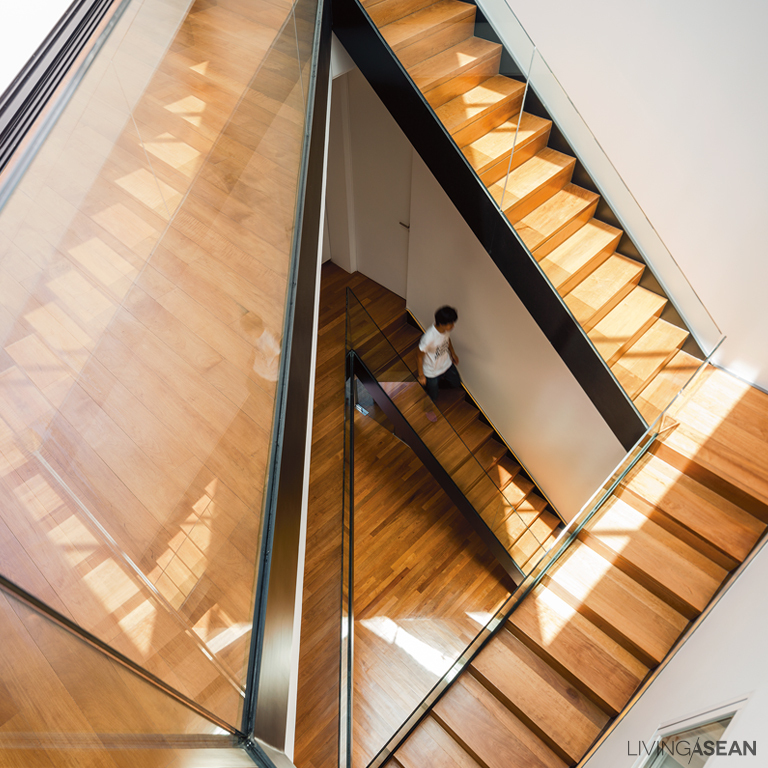 The stunning design took several months in the making, during which the contractor adjusted the staircases many times until everything was perfectly aligned. 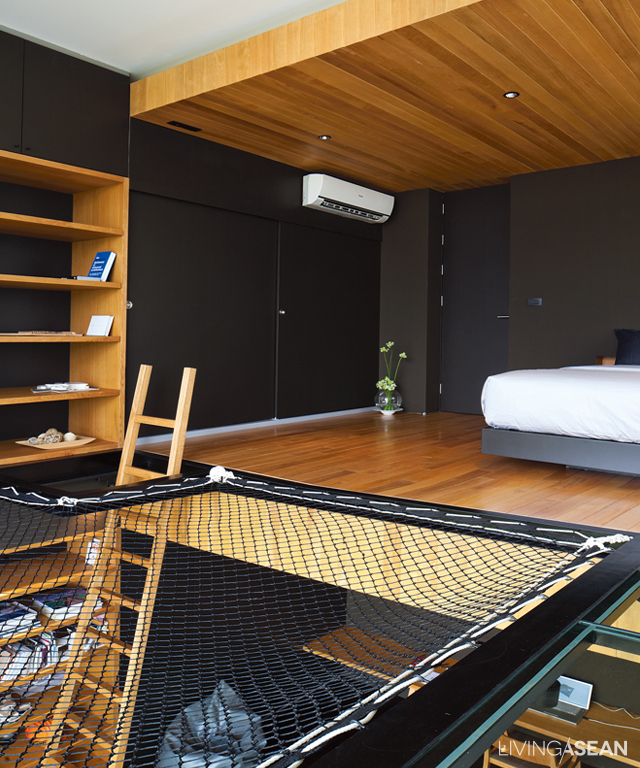 Sorakit designs the bedrooms in ways that best suit each person’s lifestyle needs. For his parent, he chooses to highlight the elegance of the oriental-modern style. His own bedroom is a bit different. It’s the most playful corner in the house. He sleeps on the mezzanine above the workspace that is tucked away on the lower floor. The bedchamber is accessible via stepladders. 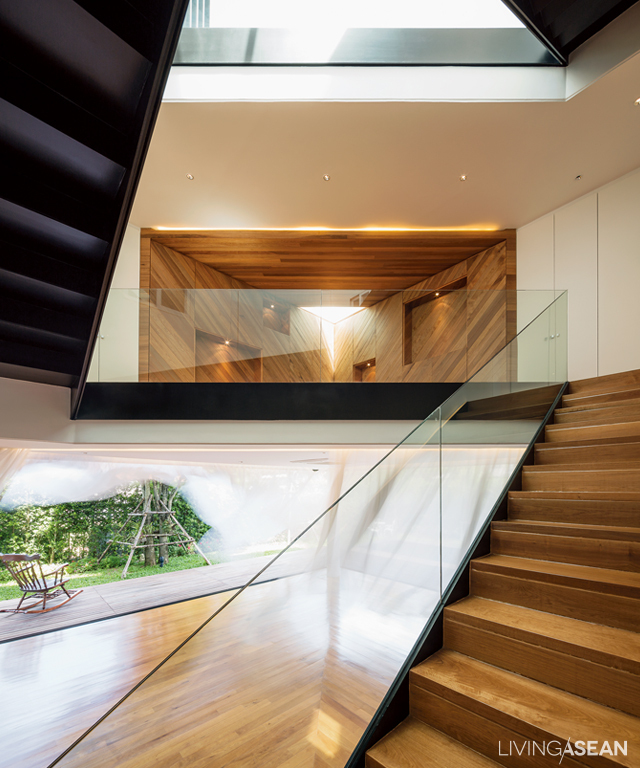 Right next to it, a hammock floor is there to take relaxation to a whole new level. 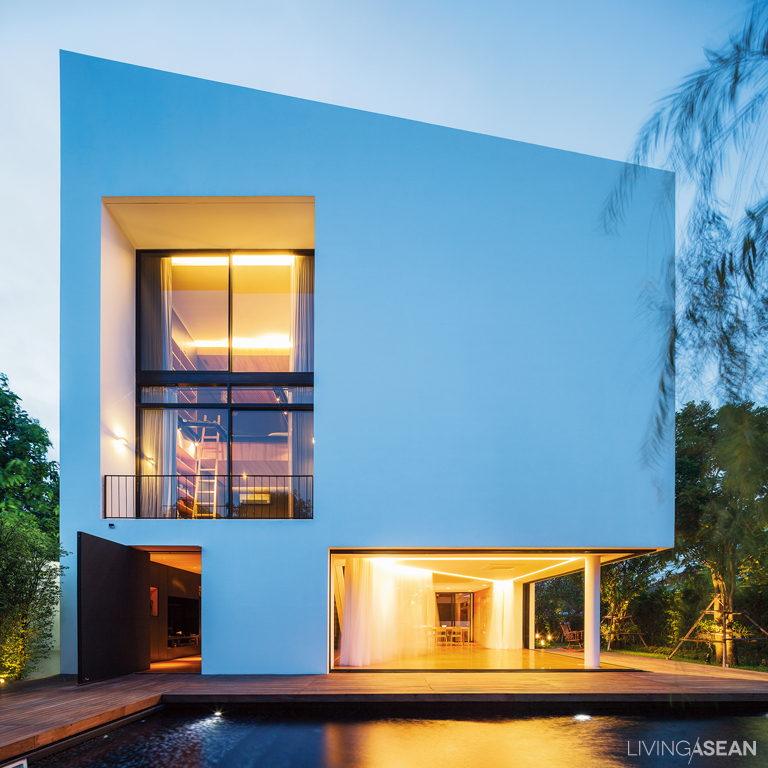 The house is without a doubt an awesome intersection of function and design, and “Baan Moom” is the perfect name for it.